You have probably encountered issues with your VR lenses fogging up during intense gaming sessions. The reason why this happens is the difference in temperature between your body and significantly cooler lenses. Luckily, there are simple solutions to this problem, such as an anti-fog spray. For other suggestions and ideas on how to prevent your VR headset from fogging up, check out this article. Have in mind that anti-fog spray isn’t officially oriented towards VR lenses, but usually scuba diving masks, cycling or skiing glasses. Some users report that anti-fog spray is a very effective solution for the problem at hand. Oculus, on the other hand, explicitly states that you shouldn’t use liquid or chemical cleansers, so if you are a Rift owner, proceed at your own risk! You should also consider that you should apply anti-fog spray to the lenses every once in a while, rather than on regular basis. After applying the anti-fog spray, gently rub it on the lenses using a microfiber cloth in a circular motion, starting from the center and working towards the edges. Jaws Quick Spit Anti-Fog Spray is made out of all-natural ingredients. The formula is non-toxic and the effect is long-lasting. It works on both glass and plastic surfaces, and you can use it for wet or dry applications. You can buy it in packs of 1, 2 and 3. Each bottle contains over 200 pumps. Jaws Quick Spit Anti-Fog Spray is made out of the same materials as spit gels, ensuring high performance of the gel in a convenient spray formula. 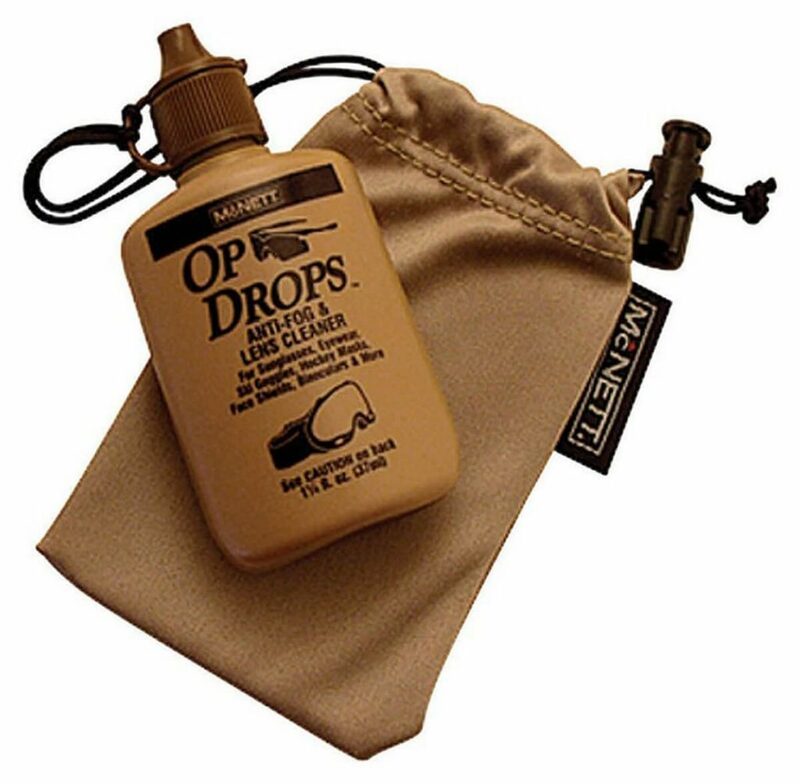 Op Drops Anti-Fog and lens cleaning system is a gentle, alcohol-free cleaner made to keep all of your lenses for-free. Microfiber cleaning cloth is included in the package, but it is also cleverly designed to serve as a carrying pouch too. Alcohol-free formula ensures safety for applications on all surfaces. The formula is ultra concentrated in order to eliminate fogging up, hence you should be extra careful when applying it. It isn’t exactly the anti-fog spray, but it will help to prevent your VR lenses from fogging up just as well. Frog Spit is known to be a “green” company since the very beginning. In their “Combo Pack,” you will get everything you need to put an end to your VR lenses fogging up once and for all! All products are Earth-friendly, water soluble and biodegradable. After applying the anti-fog spray, just let it dry, which will happen in a matter of seconds. This means no rinsing or buffing is required, which makes the application user-friendly. 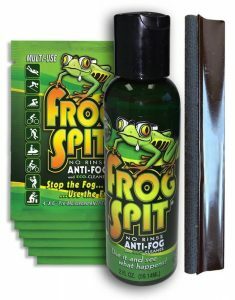 Additionally, Frog Spit carries a pleasant tropical fragrance when applied, and is safe and effective to use on all types of surfaces, working well in both warm and cold climates. Previous articleVREAL – The Future of VR Streaming? Next articleHow to Watch Netflix in VR?